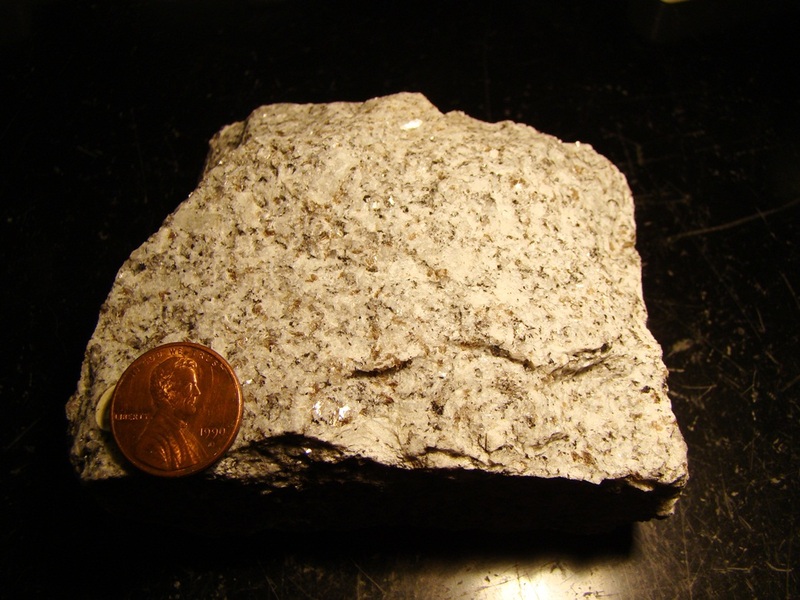 Igneous plutonic (or intrusive) rocks are those which have formed deep underground as magma cooled slowly over thousands of years following their emplacement. 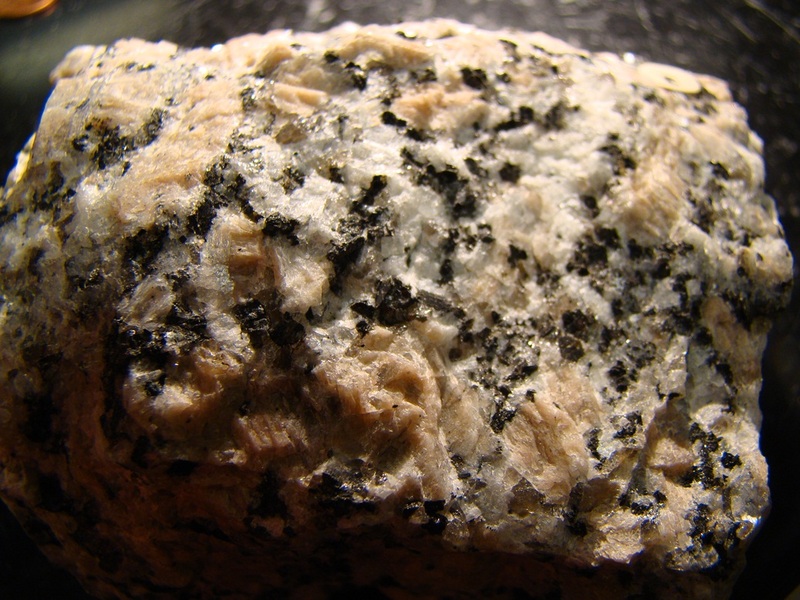 Such rocks have visible crystals (phaneritic texture). 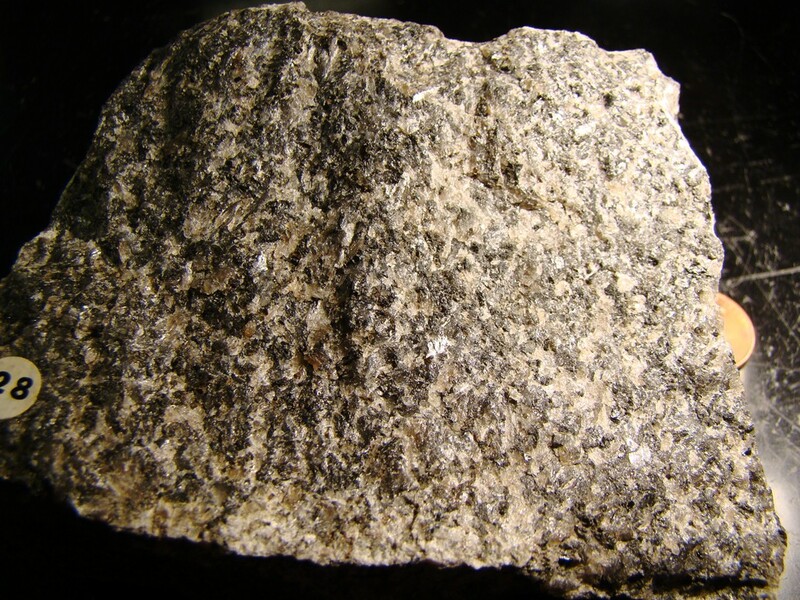 The rocks are classified on the basis of the proportions of the feldspar family of minerals, quartz, and the various dark (iron-rich) minerals like biotite, hornblende, augite and olivine. 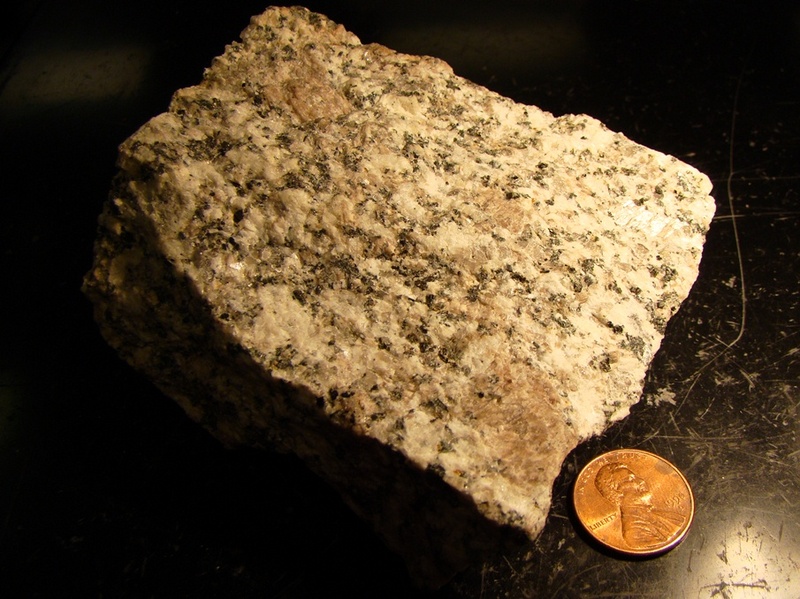 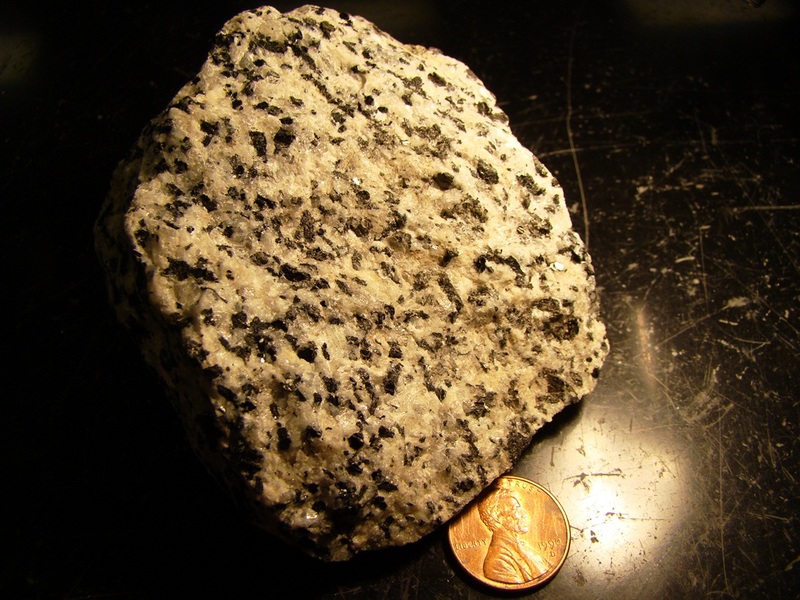 The felsic plutonic rocks usually have quartz, large proportions of potassium feldspar (orthoclase), and lesser amounts of plagioclase and mafic minerals. 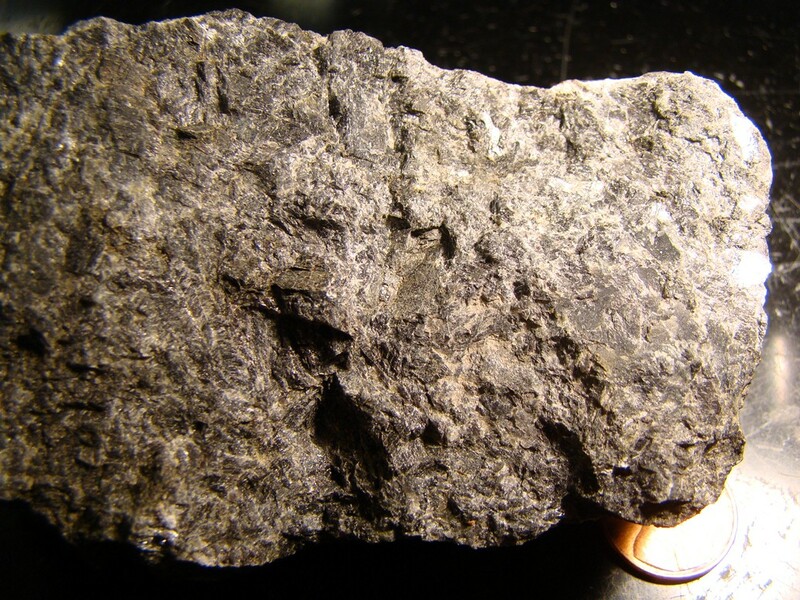 Intermediate and mafic rocks have increasingly larger proportions of dark iron-rich minerals. 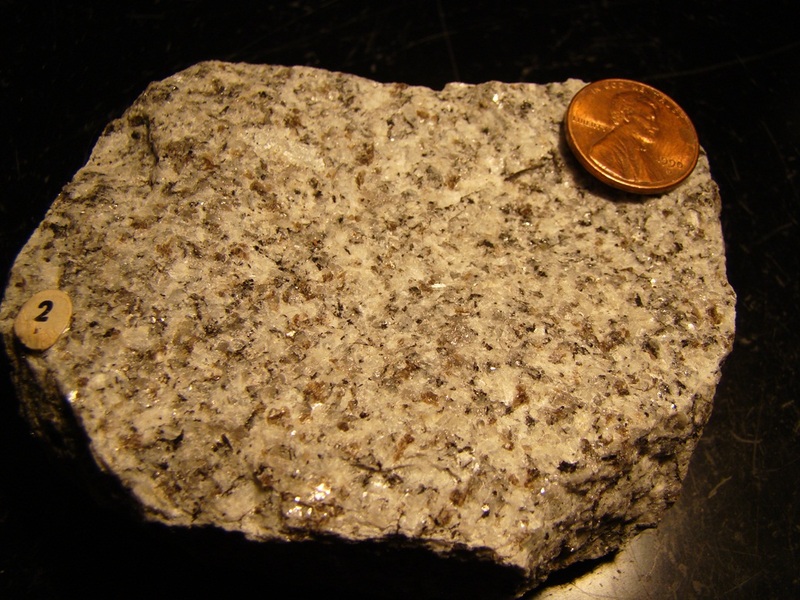 Ultramafic minerals have large significant amounts of the most iron-rich rock-forming mineral olivine.